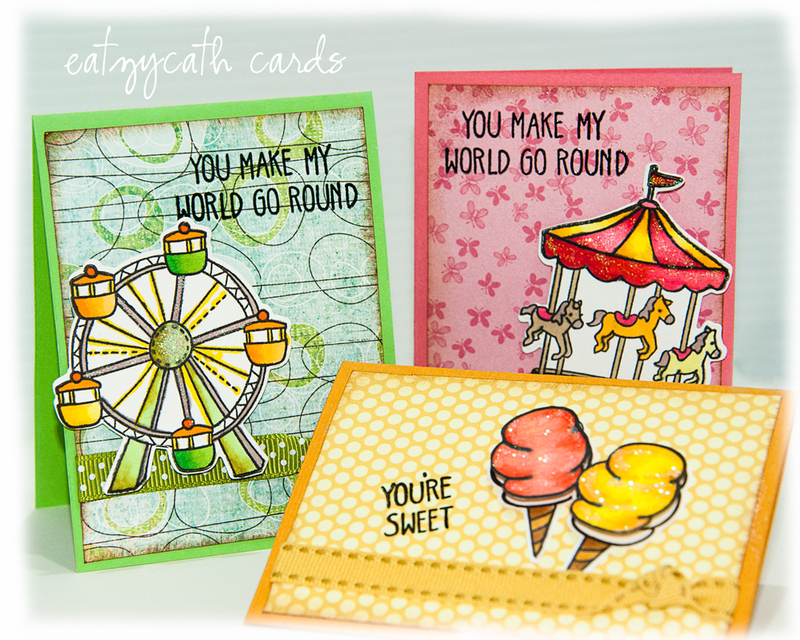 This set of 3" x 4" mini cards were so much fun to make, quick and easy, and perfect as gift toppers. Thanks to Lawnscaping Challenge #80 : Mini theme for pushing me in this direction. 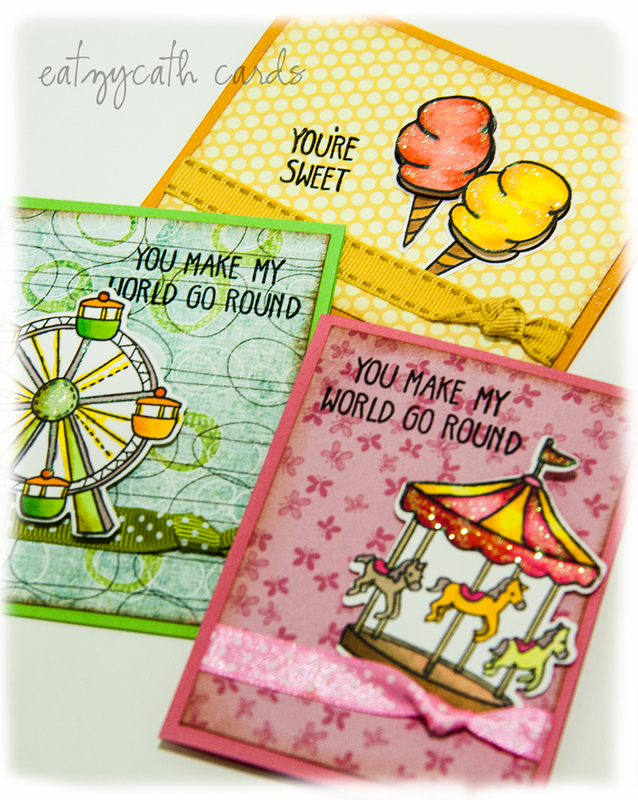 With less surface space, this set of small cute stamps from Lawn Fawn - Admit One stamp set and die-cut collection were perfect for taking the center-stage of the cards. Can't wait to do more of these mini-explosion of colours! 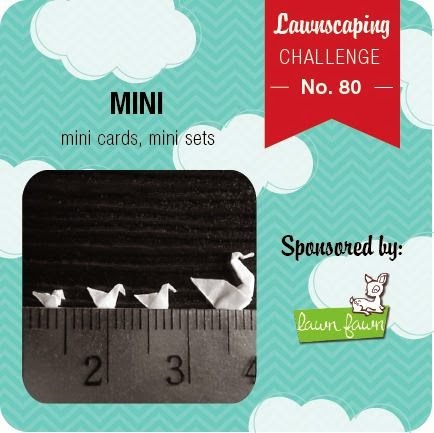 POST NOTE (4 May 2014) - yippeeeee .... these set of cards were chosen as the winner of the Lawnscaping Mini Challenge... how cool is that! These are so super darling! Love the mix of patterned paper with these stamps. Great job! 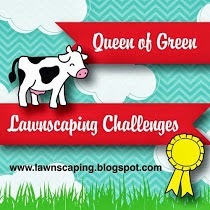 Thanks for playing with us at Lawnscaping! Big hugs!